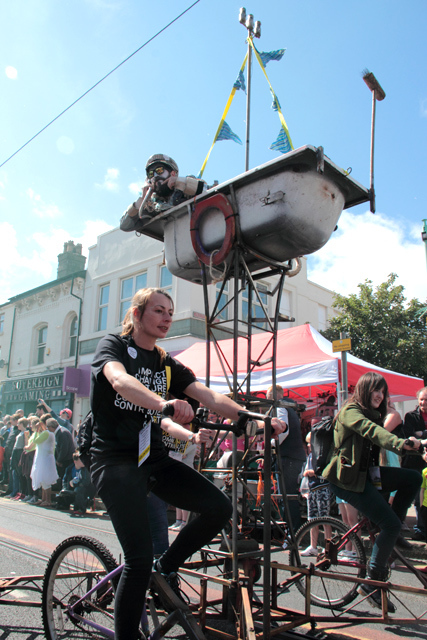 The Pandamonium Parade is a processional show for town & street combining eccentric human powered vehicles and kinetic contraptions, live music, sound and performers. 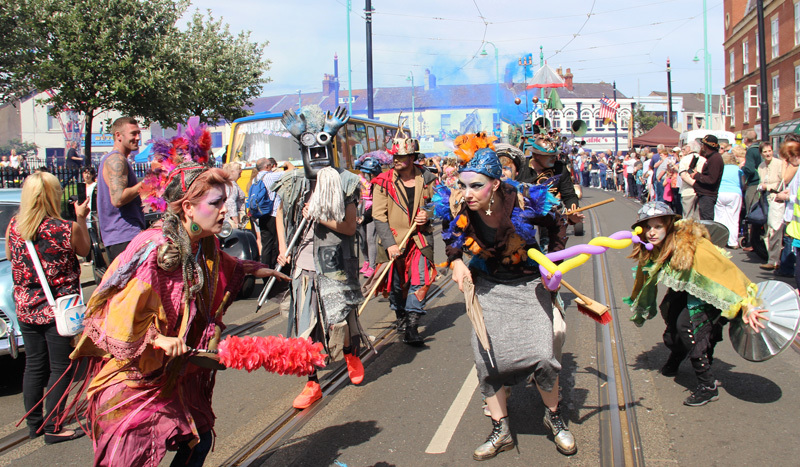 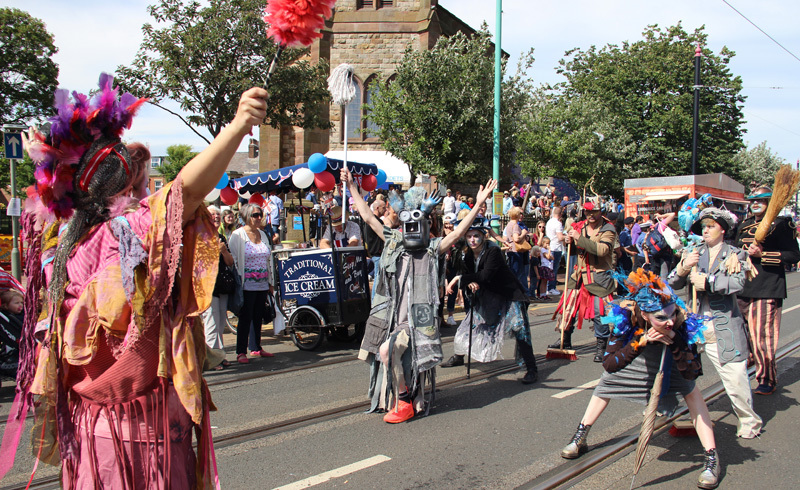 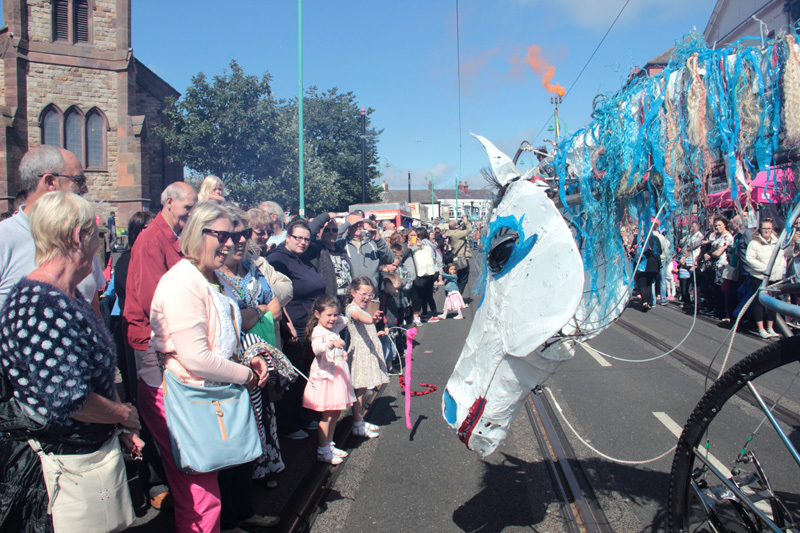 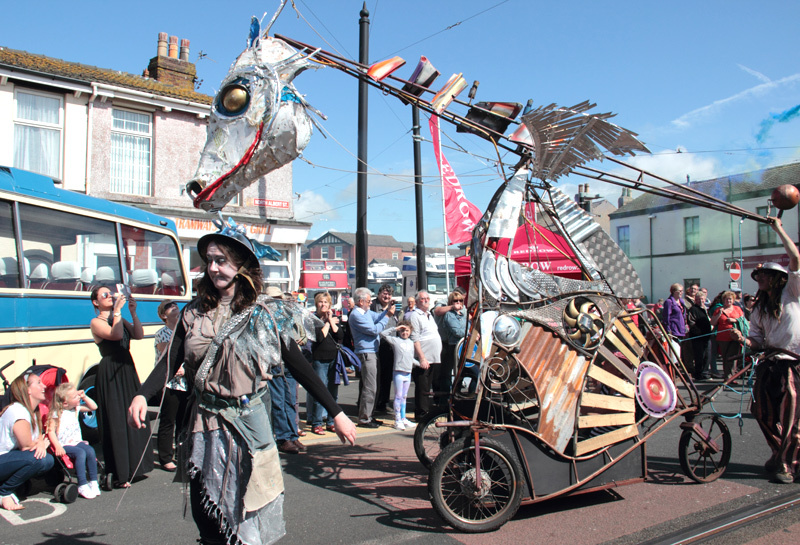 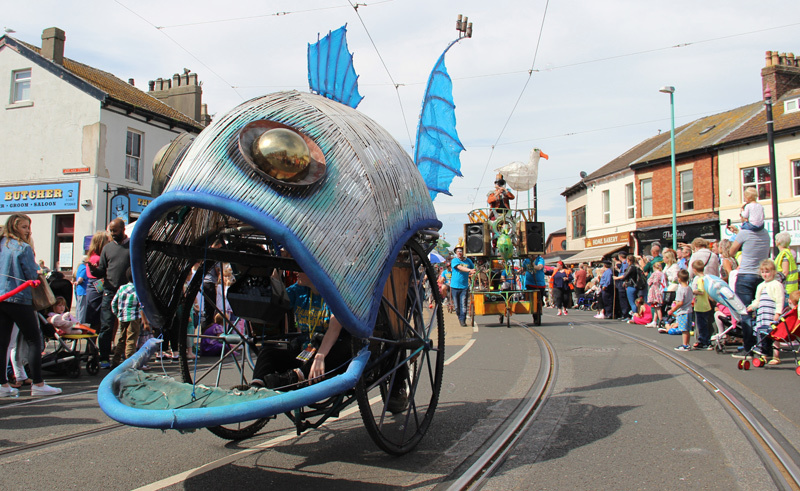 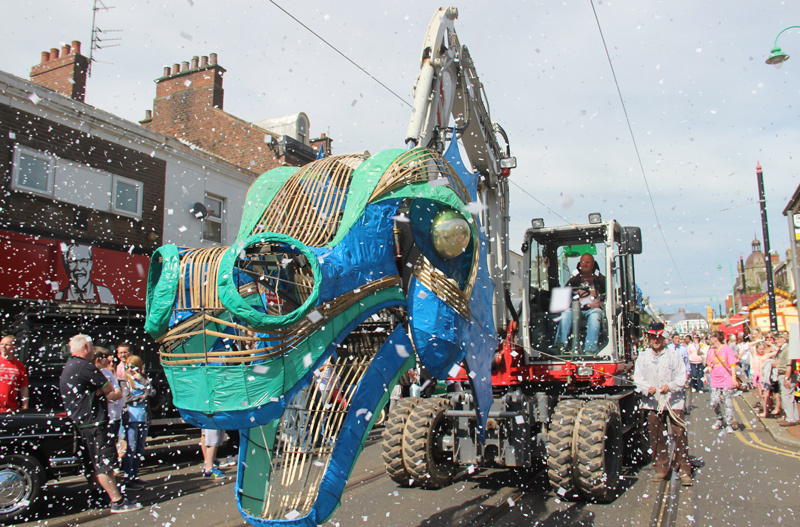 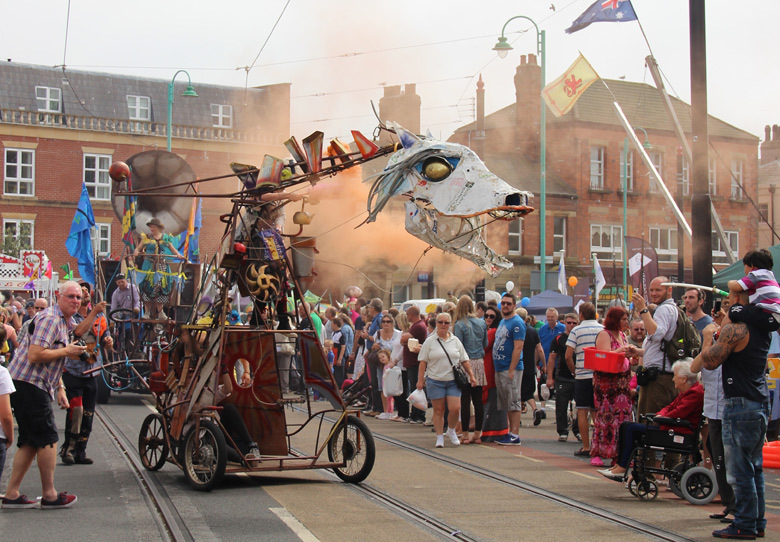 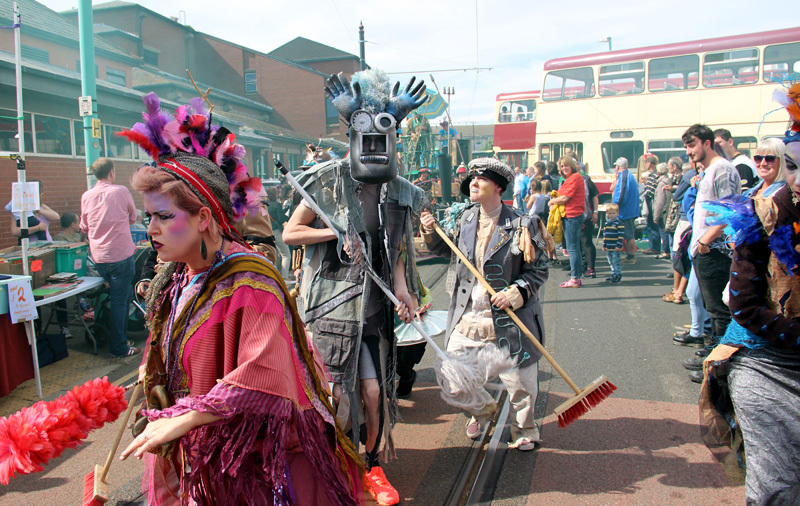 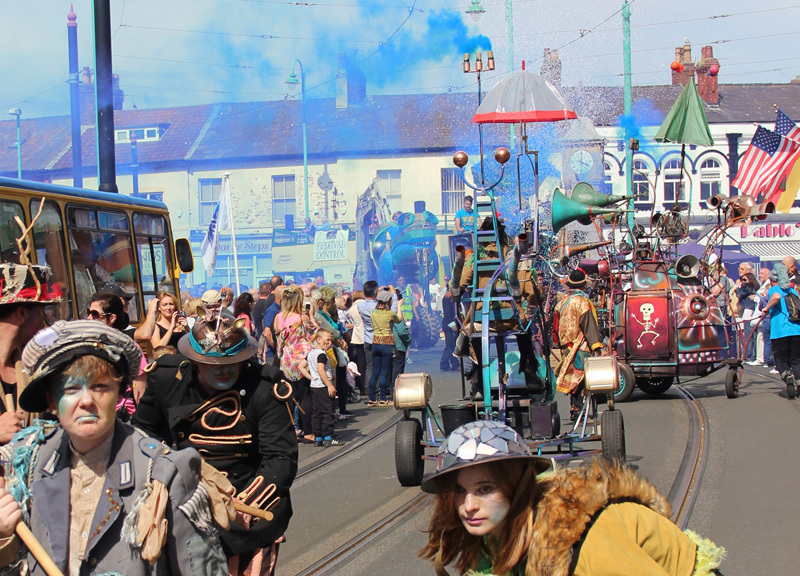 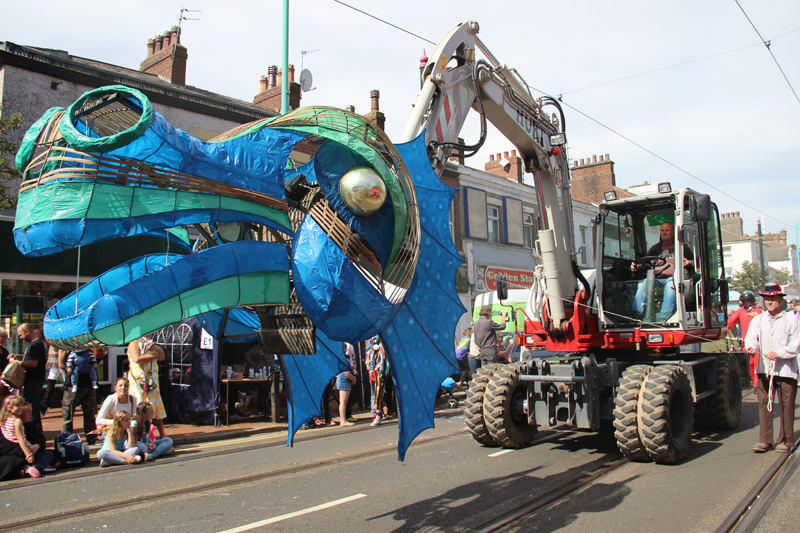 The parade is a moveable feast, a whirl wind from a British dreamtime and comes in a variety of sizes to fill the street with beasts, sounds and performers; a highly energetic, animated procession that reaches out to draw the audience into it’s chaotic and charming world. 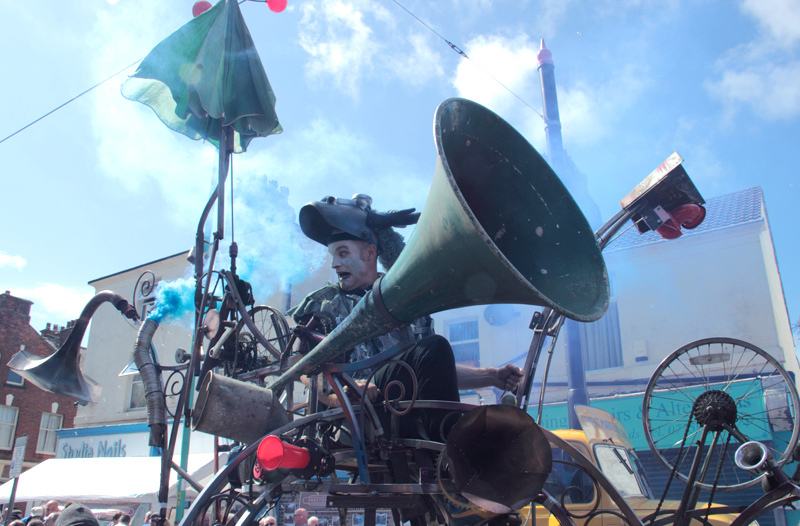 A live soundtrack from Tim Hill and other musicians on e.g. 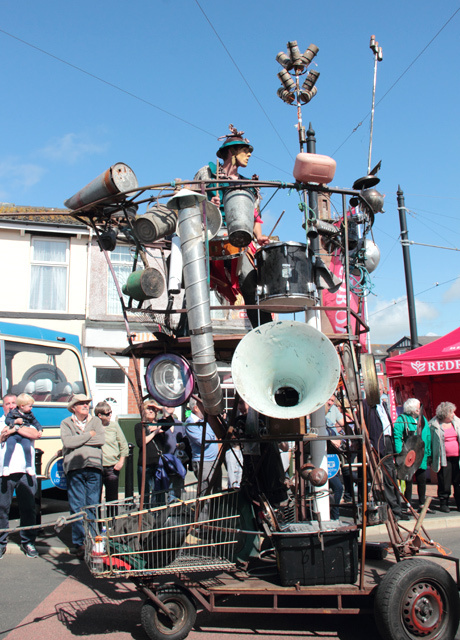 Saxophone, loop pedal & samples. 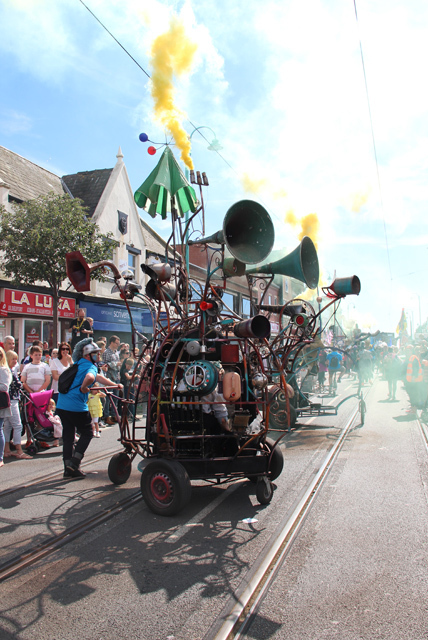 The Hurly Burly – a mechanical amusement, mobile sound sculpture and noise maker with a battery of old horns, bells, alarms and whistles. 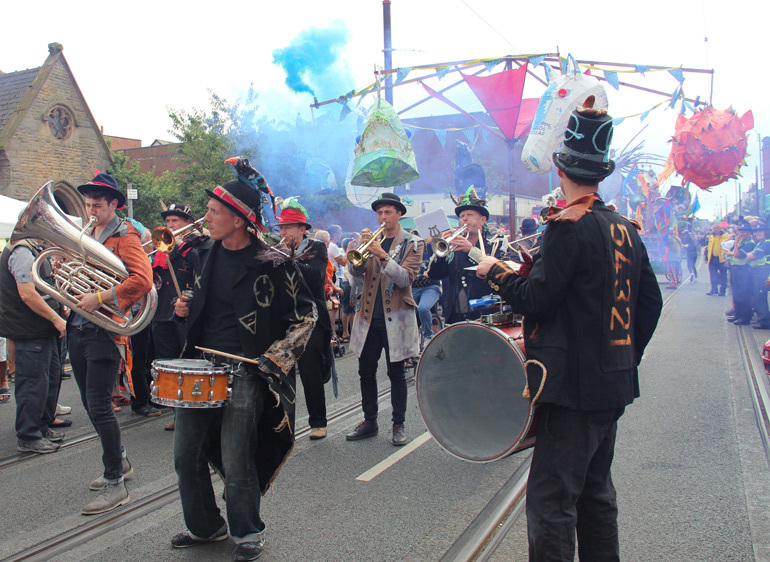 Performers & characters – including Captain Strange and his crew of mudlarks, bone grubbers and scavenger poets. 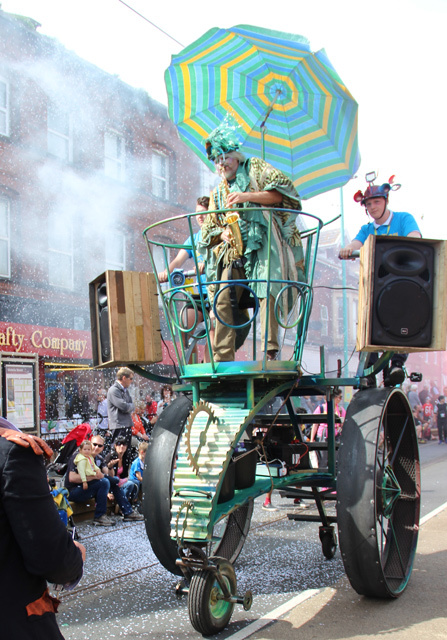 Various effects and pyrotechnics such as trails of coloured smoke, bubbles, smoke machines, confetti, whistles and firecrackers. 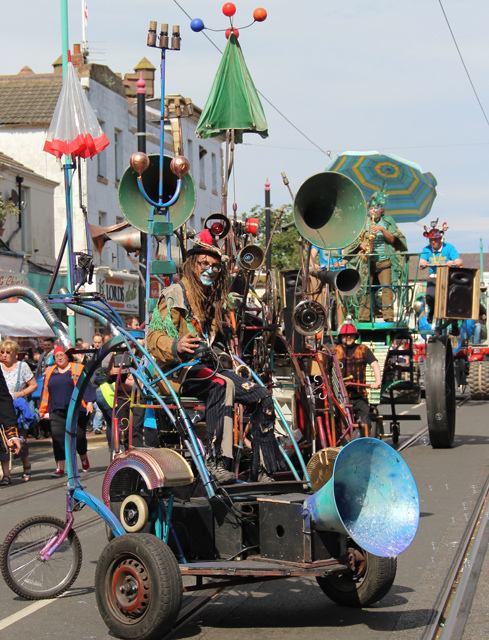 Video from Left Coast here of the 2014 Spare Parts Festival – includes lots of footage of the Pandamonium Parade and the volunteers who made it happen.